Attention: Employee Wellness Coordinators, Well Being Managers, Chief Employee Happiness Officers! Is your workplace a fun place to work? Is fun part of your company culture and values? Are you looking to go beyond the "one-off" employee picnics or holiday parties? Interested increasing productivity, creativity, engagement and morale? Are you looking to be the place that really understands the meaning of employee well being? 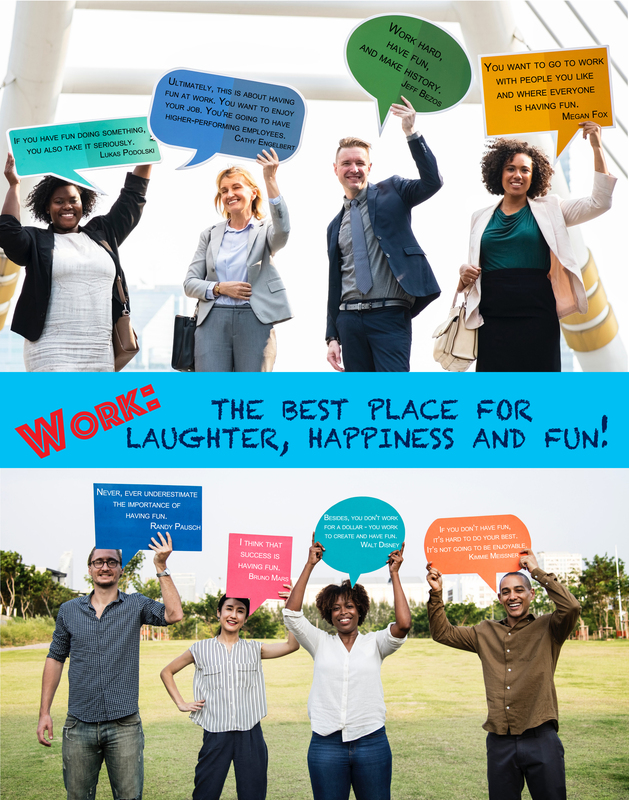 Here is the perfect addition to Laughter Wellness presentations and Laughter Yoga sessions - Fun activities packed in a box that provide 10-20 minutes of employee fun, camraderie and stress relief! Bring a BreakBox into your workplace! Check them out, and get a 10% discount with the code: NOREENBB10.